Hopefully next year we can make arrangements for some international teams to come Downunder, but for the time being, we're just happy that Australia now has their LAN back! ESL has launched the new Monthly Challenge! The Monthly Challenge cup series has one cup each week, where you can get points to qualify for the Monthly Finals. 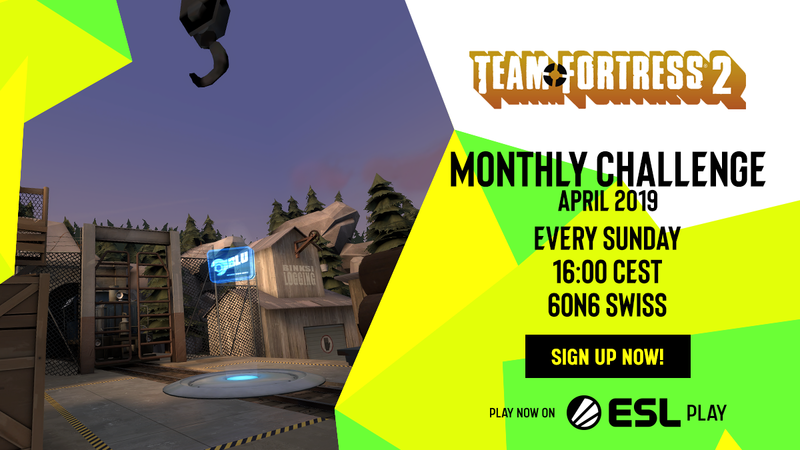 Play every Sunday to make your chances for the Monthly finals better and better. Every win matters! This cup will start Sunday 28th of April at 4pm CEST and will continue throughout the night. This month we will be running on three cups due to the Easter Break. The Monthly Final will be played as a single elimination bracket with the top eight teams from the previous weeks, with the winner of each month taking home the prestigious ESL medal! I have been working on getting more regions supported by ESL. This however has been a challenge as ESL cannot take any staff from US due to laws over there. If you live elsewhere and are interested in volunteering as an ESL Referee, we are now taking applications! Apply here if you're interested. this is the final season though, I feel it's a bit different. Hugges Mitch_ Tino_rather than listen to the invite Illuminati that literally wont exist in 3 months. funny enough its being scheduled for next week! I would like to add onto what bleghfarec said in relationship to ESL owning ESEA.This is a misconception that was made by media. Turtle Entertainment owns ESL and ESEA, not ESL owning ESEA. I can't simply go and administrate TF2 at ESEA, neither can my manager or his manager. We are two seperate running entities. Tino_rather than listen to the invite Illuminati that literally wont exist in 3 months. funny enough its being scheduled for next week! our colours are very... vibrant at the moment. What I'm hoping ESL can offer is around the same sort of structure to what ESEA was running, we're chatting at the moment about how viable it is for us to run this. We need a strong supporting from the community to do it. Our main issue however is our administration team. If you're uneducated on us, ESL is the world's largest esports company, based in Europe. To employ any US resident it costs us a lot cause they can't legally volunteer, they must be paid for their work. Hence why tri was the only ESEA TF2 admin. Our only solution to this is to hire people from Canada, South America or elsewhere. We will make a PSA in a few days asking for feedback and getting an idea of what we can do for the NA community. As I said in the original post, stay tuned to TFTV for further announcements. I literally woke up an hour ago to this so we're all pretty shaken. ScrewballCan we not do ESL? It seems like going to another payed league is just kicking the can down the road. I feel like we need a permanent solution in the form of a comunity league. Our best bet would be to piggyback on ETF2L (NATF2L) as part of a greater International TF2L. why are you assuming this is paid? We haven't even announced our plans. Edit: I won't lie though it's likely on the cards if we want a prize pool. But our requirements are better than ESEA's was. I'm aware that this has occurred, there was no communication about it between the two parties but we will anticipate to provide North Americans a service after ESEA Season 31. Please make sure to watch on TFTV for upcoming announcements. Edit: this does not mean we will be, but we're aware and might run something in the future. Signups close in one hour! Lock your roster in now! Signups close in less than 24 hours! This cup will start Sunday 14th of April at 4pm CEST and will continue throughout the night.